Very lovely, the colors are perfect match with my other accessories. 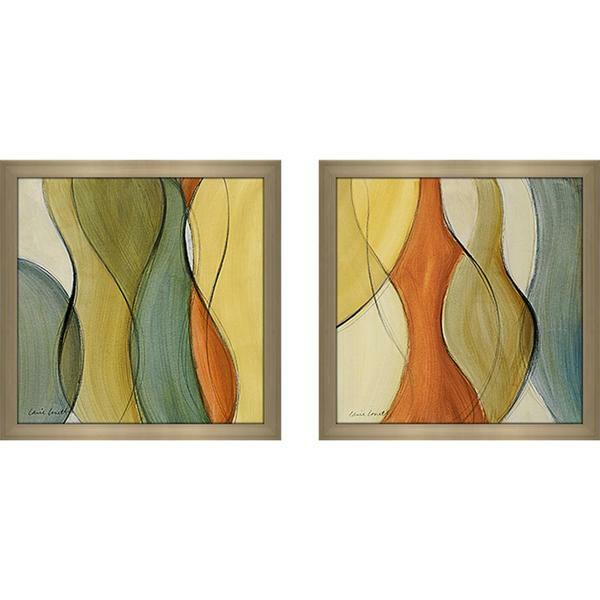 Product type: Each artwork is framed & finished in a 1" Champagne frame Individual Size: 14 inches wide by 14 inches high Medium: Protective Glass Cover Arrives ready-to-hang Care: Wipe with dry cloth only 100% Proudly Made in North America When hung side by side, their overall wall coverage is approximately 31 inches wide by 14 inches high, which includes 3 inches of spacing in between. Bought these to hang in foyer with 4 piece staggered forest set. The colors match well. Very very nice pictures. Framing is a silver color. The packaging was excellent. Very professional no damage no scratches. The pictures look true to the real deal. Should look well in my living room provided it looks like as pictured.